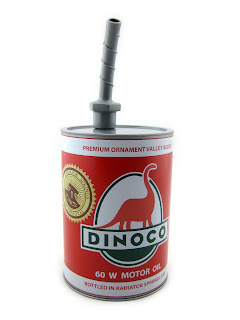 On May 22nd this year, Disneyland Resort (during their 60th Anniversary Diamond Celebration 24-hour event) debuted these three brand new Dinoco Oil Can Sippers at Cars Land in Disney's California Adventure! You can find them exclusively at the Cozy Cone Motel snack area. These are available to purchase with an included (non-refillable) beverage- or you can just buy them on their own (like I did). Without a beverage, they retailed for about $10 each. I was so happy to see they still had these when I took an unexpected visit to California Adventure last weekend! I have been seeing them online for months now and have been totally jealous of those who have gotten them. I was really hoping they would still be available and, sure enough, they were! Apparently they'll be there for the remainder of the year. 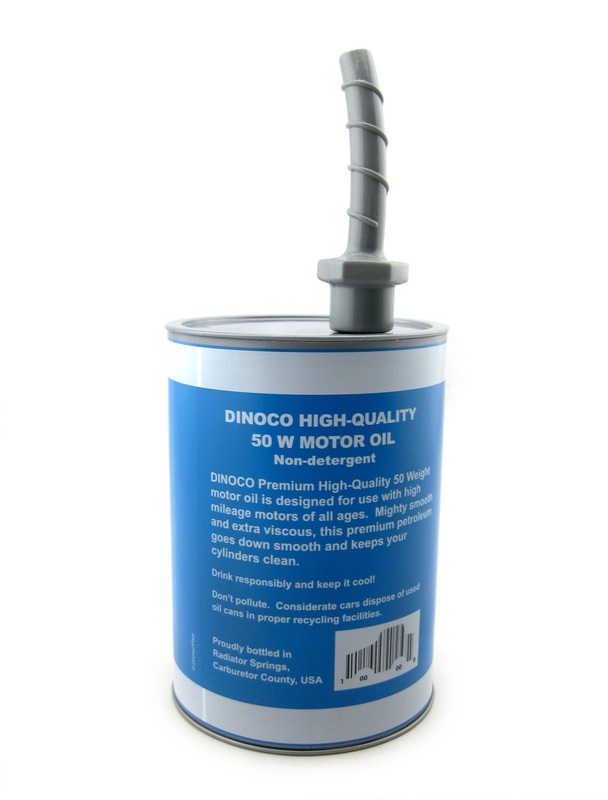 While Dinoco brand oil is prevalent in the Cars films, these exact cans are never seen on screen. The blue T-Rex Dinoco logo is seen many times, but not on any can like this. FUN FACT: Dinoco brand was originally featured in Toy Story. It was the name of the gas station that Woody and Buzz get left at. The brontosaurus Dinoco logo here on the red can is a great homage to that original design (see Toy Story screen shot HERE). 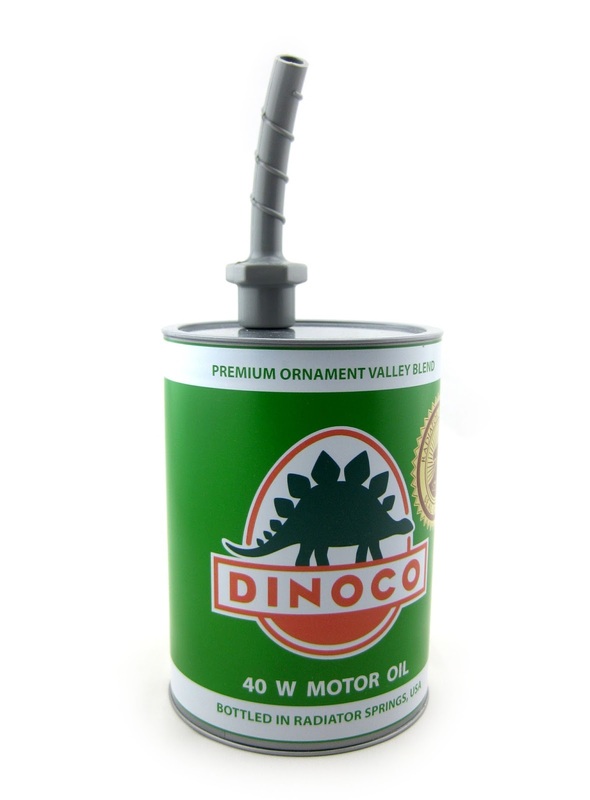 The green stegosaurus Dinoco logo, I think, is seen only around Cars Land and nowhere in the films (though it somehow look familiar...). 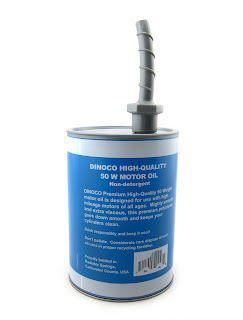 Anyway, even though these oil cans aren't necessarily "canon" per se (catch that? ), I still think they are great collector's items for Cars fans. They do, at least, seem like they're straight out of the films and they will no doubt look great on display with my other Cars items. 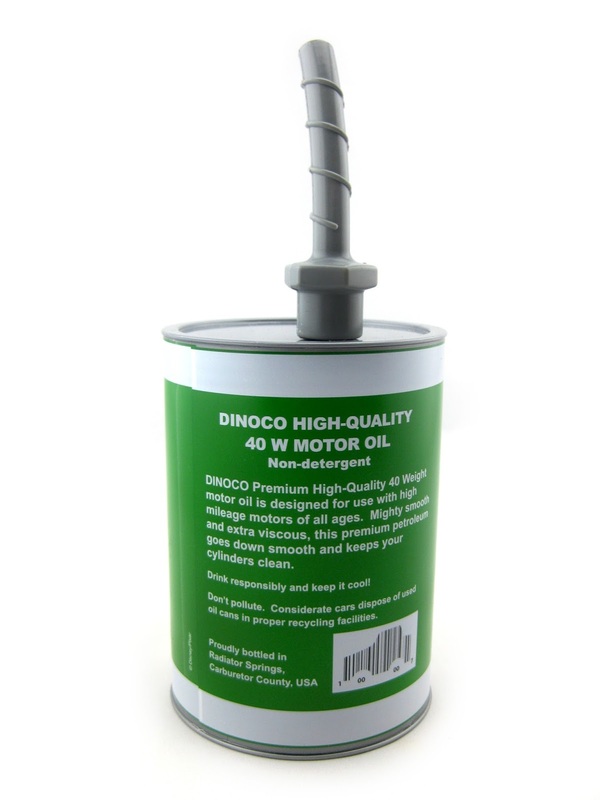 Check out all the fun details on each can below! 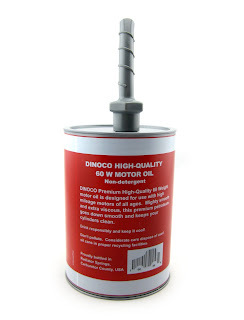 The cans are completely plastic with no paper stickers (which is good for washing). 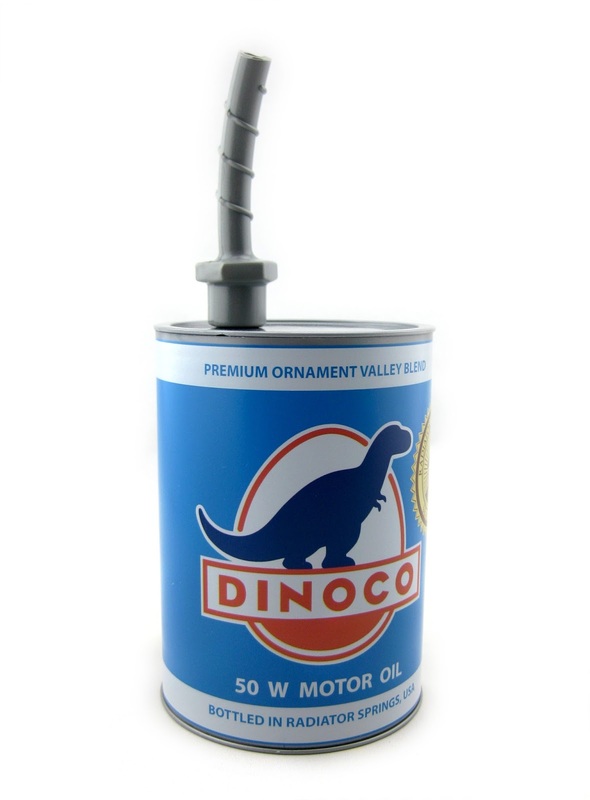 Each measures about 5" tall (about 9" including the spout) with a 3.75" diameter. Each holds about 24 oz. If you can't make it to California Adventure to get these, be sure to visit this direct link to current eBay listings. I highly recommend them!